Corn muffins are a fall staple in our house. 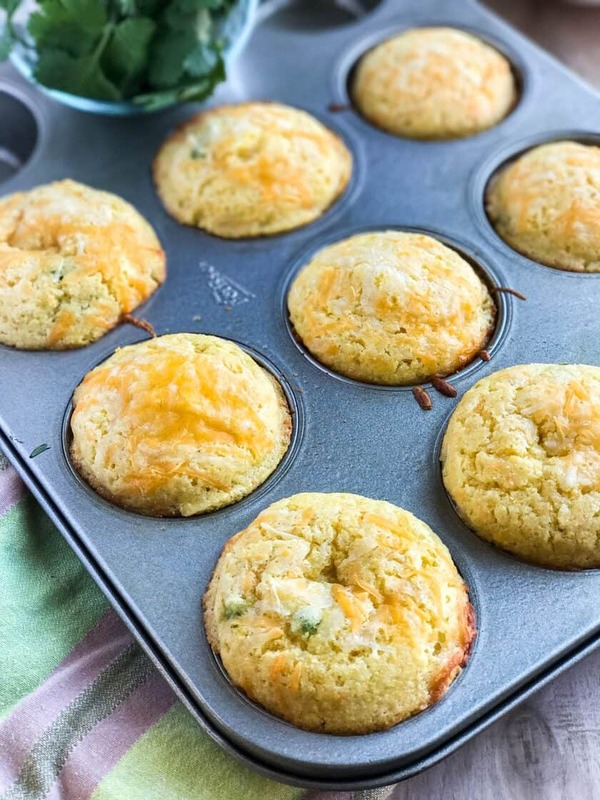 But these Jalapeno Popper Corn Muffins with Bacon and Cheddar take corn muffins to a whole new level. And are perfect for tailgating, game day treats, or frosty evenings. Similar to the Jalapeno Popper appetizers we love, these corn muffins are just as tasty. 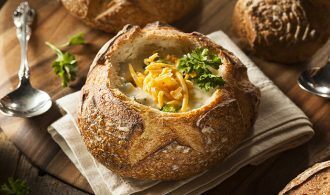 Often I bake these while making one of our favorite chili recipes. There are two ways to prepare these muffins. A by-scratch method (which I love) and a shortcut method. When you have time, nothing beats by-scratch corn muffins. 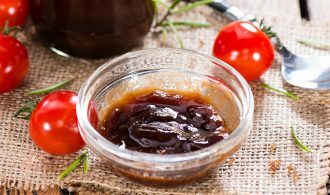 They’re moist and flavorful… with just a touch of sweetness. But sometimes, life gets in the way. And the fix is a shortcut. 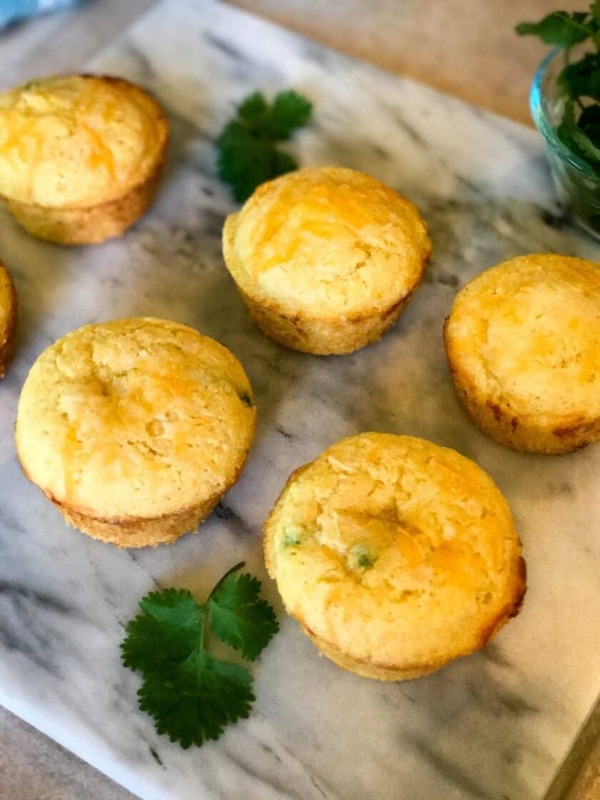 With these Jalapeno Popper Corn Muffins, the shortcut works really well. 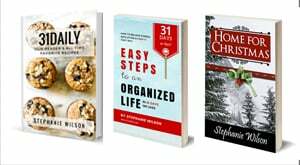 The shortcut is simply a store-bought corn muffin box mix that works as a base. 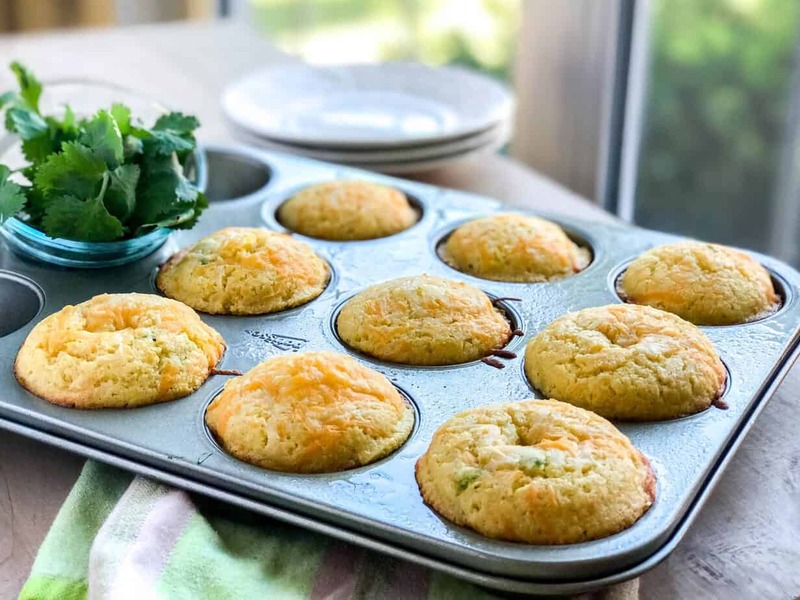 The added jalapeno, bacon, and cheddar takes the muffins to savory goodness in minutes. If you want a shortcut, (like I sometimes do), use your favorite cornbread box mix (I like Fleischmann’s Simply Homemade – available at markets and Amazon.com) and fold in the bacon, cheddar, and jalapeno. Bake according to package instructions. Preheat the oven to 350°F and grease or paper-line 18 to 20 standard muffin cups. Combine flour, sugar, cornmeal, baking powder and salt in medium bowl. Then combine milk, eggs, vegetable oil and butter in small bowl; mix well. Add the milk mixture to the flour mixture; stir just until blended. Gently fold in crumbled bacon, cheese, and jalapeno. 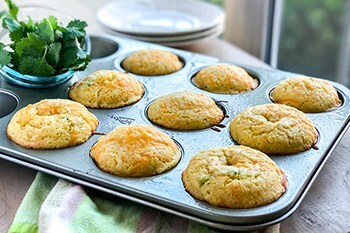 Pour into the prepared muffin cups and top with additional shredded cheese. Bake for 18 to 20 minutes or until wooden pick inserted in center comes out clean. Cool in pans on wire racks for 5 minutes; remove to wire racks to cool slightly. Serve warm.